Lots of people carry around a battery for charging their gadgets. But just like those gadgets, the battery eventually needs to be plugged in to charge. Unless, that is, you're carrying an Ampy Energy Capturing Device. 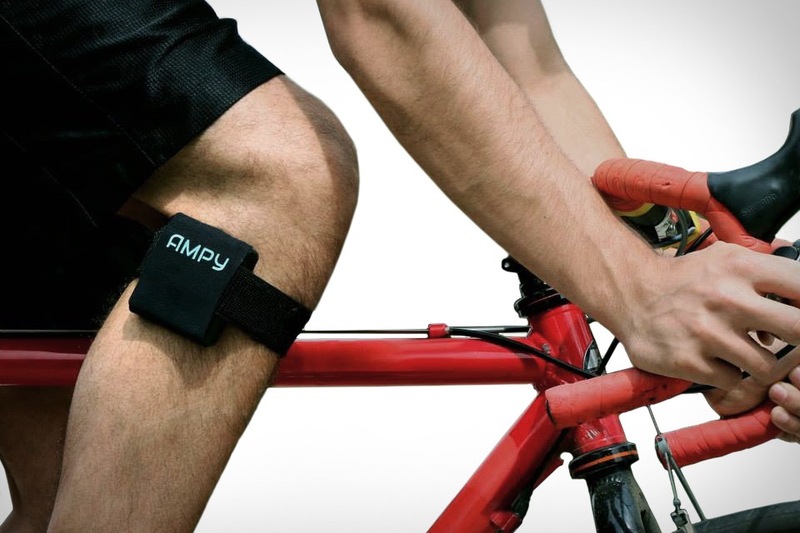 Sporting a 1000 mAh battery, the Ampy offers enough juice to get you through the day, but instead of drawing power from the wall, it charges using the kinetic energy you create just by moving — so whether you're out for a run or just hoofing it up the stairs to your office, you're creating power that you can use to charge your gadgets. Nothing's worse than losing yourself in a facemelter only to trip over your own guitar cable. The Jack Wireless Guitar Streamer liberates your axe from the tyranny of cables, streaming your performance in real time over a ultra low-latency, better than CD quality Wi-Fi connection. Grab a pair of them and stream audio from your guitar or other instrument to your amp or sound board, or download the Jack app to your computer, tablet, or phone, and stream directly onto your device for use in your favorite audio apps. So long, stage snake. Your devices are only useful if they are charged, and we all know how vital keeping them at optimum power levels can be. Zolt Charger is not only the smallest, lightest, laptop charger we've seen, but it's also a multi-tasker — allowing you to charge up to three devices at once. And with their Efficient Resonant Control technology, the Zolt analyzes each charging device and prioritizes an optimal charge for each one. Small, productive, and smart enough to keep your devices powered up and ready to use. Using a laptop as your main computer commonly brings with it a crucial drawback: the need to haul an external drive around with it. Make sure it looks as good as possible with the Lacie Mirror Hard Drive. Designed by Parisian talent Pauline Deltour, this 1TB drive is encased in mirrored Gorilla Glass 3, and includes a handsome Makassar ebony wood stand and soft carrying case. And since it's powered over the USB 3.0 connection, you'll get fast data access without the need to bring along yet another power brick. A sensor for this, a sensor for that — it's obvious that we're going to have a lot of sensors in our lives from now on. Instead of trying to wrangle a bunch of single-purpose gadgets, let the Mother Smart Sensor System take care of things. This system includes an Internet-connected "Mother" base station and a set of four sensors that can be used in a variety of ways: they can sense movement, letting you know when something has been moved, as well as temperature and proximity — since they signal their presence to the Mother, you'll know when they're coming or going. Stick them on whatever you want, set them to sense what you want, add more of them as you need them, and let the Mother keep track. Bring the technology of your bike up to the same standards as your car with the Cobi Connected Biking System. Designed to leverage the smartphone you're already carrying around, it pairs a physical dock that installs on your handlebars, with a custom app that's built with cyclists in mind. The dock itself features a built-in light and the ability to charge your device, and there's also optional automatic brake lights and turn signals. Finally, there's a thumb controller, which works with the app to let you control your music and access features like speed, time, distance, climb rate, and elevation data, navigation, fitness tracking, and more, all without moving your hand. When it comes to creating a great virtual reality experience, there are few things more important than what your eyes see. So it only makes sense that a company with a history of great optics would make a great solution. The Zeiss VR One Headset blends wide-ranging device support with the company's precision lenses to create an immersive experience. Thanks to a slide-out tray, it can support most smartphones with display sizes between 4.7 and 5.2 inches, and offers a see-through front shield for augmented reality apps, ports to allow access to the device's headphone and charging jacks, ventilation openings for increased airflow, and, for the bespectacled among us, support for wearing your eyeglasses while you're using it.